This thread aims to solve any common issues that players may encounter when trying to play Indova. If your client shows as the image above and does not open then you have to reinstall your Java (uninstall all Java versions first then install again). Right click the client and press Properties. Press Change next to the Opens With section. Select to open with Java Platform SE Binary. My client has a white/black screen and won't load! Ensure you have the latest client by downloading from here. 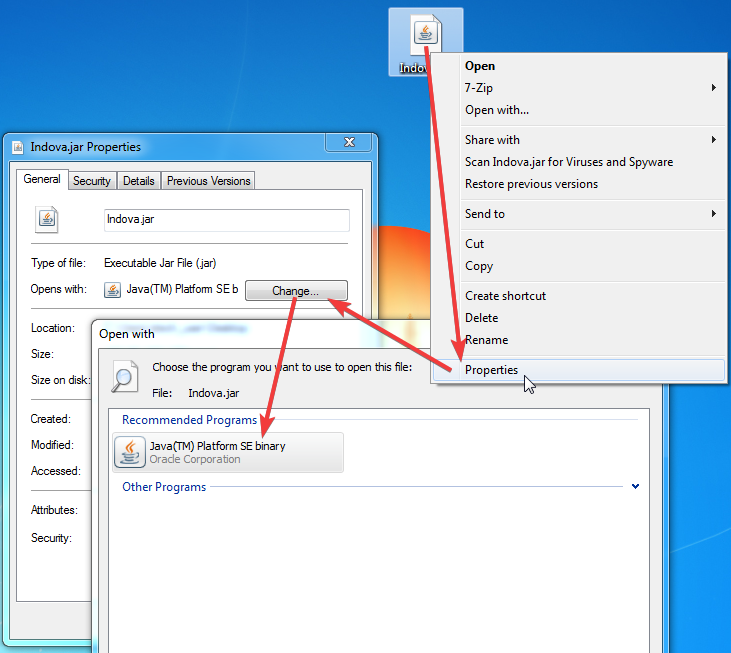 Another cause is a corrupt cache and can be solved by reinstalling your cache folder (see below). It may also be due to a certain area of the world not being accessible. If your account is stuck, please create a post here and we will have this fixed for you ASAP. Close your client if it's open. Search for a folder titled ".indova" and delete it. Re-open your client and allow it to redownload the server files/cache. Go to the task bar and select 'Go' then 'Go to Folder'. Enter "~/library/Caches" in to the folder search. Locate the ".indova" folder and move the folder to trash. Re-open the Indova client to redownload the server files/cache. My client says "Error connecting to the server"
First of all, ensure that the server is actually online by checking the Forums shoutbox and Discord. You are using a restricted computer/network such as in a school which does not allow outbound connections that it doesn't recognise. Your antivirus is blocking the client from connecting to the internet. You can temporarily disable this in the settings or add the client as an exception to run without being blocked. Your firewall is blocking the client from connecting. You can disable it temporarily or add the client as an exception. A potential workaround for this is to use a VPN to connect to Indova. You can find many free VPN programs from searching on Google. Follow this post for the solution to that. If the issue you are experiencing is not on this thread, please make a post in our Community Questions section and you will be replied to ASAP.